One of the concerns about the Chromebook over the years is that it does not have the capability of doing graphic design. This review looks at the Photoshop Express Android App and how it works on a Chromebook. Photoshop Express provides a very limited experience when using it with a Chromebook. It's clear that the app was designed for mobile and tablet devices because the layout is not perfect. You get some good features to edit images but this is let down by the options you have when it comes to exporting your images. 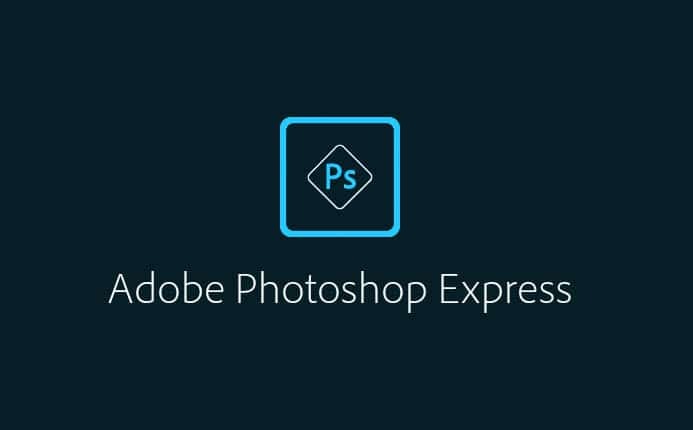 When you first install Photoshop Express you need to register your details with Adobe. You can do this using your Google, Facebook or by setting up an Adobe account. This should be a simple task. However, it appeared not to be the case. I tried to register with Google, but it stated an error occurred and to try again. Closing down the application and restarting it did not fix the problem. When I tried to register again via Google it gave the same error message. I then decided to register an Adobe account and a different error message appeared. This was really frustrating, as what should have been a one minute task ended up taking much longer. The only way to fix the problem was by shutting down the Chromebook. This did the trick and I was then able to log in using my Google Account. Thankfully, this only happens once and when you start Photoshop Express in the future it takes you straight into the program. The navigation of Photoshop Express takes some getting used to and this is most likely because it was designed for mobile phones and tablets. It works perfectly well with your keyboard and touchpad, but you can tell the layout was designed for mobile devices. This is probably going to be a problem for Android Apps when using a Chromebook. 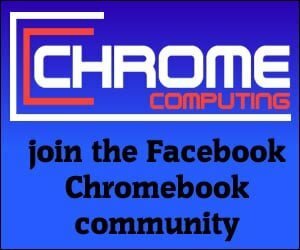 This will hopefully change in the future as more and more Chromebooks come with Android App support. The way you navigate around the software is difficult to get used to if you’ve been used to using professional graphics software on Microsoft Windows or Apple Mac. However, once you’ve used Photoshop Express for a while you get used to navigating around the software. The first thing you need to do when using Photoshop Express is to choose an image you want to edit. The images available are displayed on the screen in a tile formation. The images shown include images you’ve saved from the internet in your downloads folder. It also includes images that have been saved the dedicated folder for Photoshop Express. Chromebooks that have Android App capability now have a new file location. This is saved on your local drive under the folder ‘Play Files’. In this folder, there is a movie, music and pictures folder. In this instance, when you click on images a new folder has been created specifically for the installed app ‘Photoshop Express’. This is a good feature because it means you can easily locate your movies, music or pictures depending on the Android App that created them. However, you need to remember these files are stored locally, so you may want to move them to your Google Drive to save on storage space and to keep your files safe. Once you’ve chosen the picture to edit you’re presented with a few options. This is presented by a list of icons at the bottom of the screen. Annoyingly if you hover over these icons it does not explain what the feature does. This means you need to use all the different features to understand how they will change your image. Some are self-explanatory. However, it would be more user-friendly if the icons also provided some text. You’ve got options to change the colour of your image, which comes with lots of default options to choose from. For example, it’s easy to change an image into a black and white or to add an orange tint to your image. You can also easily crop the image. Again, it comes with a lot of default options or you can set your own default dimensions for the crop. Rotating or flipping the image is also easily done and you can also transform your image with vertical and horizontal skew. It does not give you the option to import a further image, which makes it rather limited. However, you do have an option to add pre-installed clipart. You can also add different borders to your images and again there are plenty of pre-installed options to choose from. Adding text to your images is not as easy as it could be. It’s easy enough to add some text and to position the text where you want it to be displayed on your image. However, I was unable to change the font size of the text, which is really limited. Rather bizarrely, if you want smaller text than the default provided, you need to zoom into your image. This appears to work but it’s far from perfect. Sometimes, when you zoom back out the text also changes size, and you end up with really large text. However, if you go to the screen to export the image, it magically appears to be set correctly. This is very hit and miss and sometimes it worked and other times it did not. I’m unsure why Photoshop Express does not give you the option to change the font size, which would make it much easier to add text to your images. When it comes to font selection. You can choose from a selection of fonts, but you do not have access to a huge font family. Changing the colour of the text is easy enough to do and choosing the text alignment is also just a click of a button. There is an option for Photoshop CC, which I assume is there to make further changes to your image. However, at the moment, the Photoshop CC Android App does not work for Chromebooks. Hopefully, this will change in the future. This may explain why some of the features in Photoshop Express are limited. Adobe is most likely trying to push you to work with Photoshop CC, which is not free to use after the trial period has ended. Once you’ve edited your image you can choose to save the image either locally or to your Google Drive. At this stage, you can also choose the size of the image you want to export and the quality of the image. The only option you have is to save the image in JPG format. This for the majority of the time is great, but it would have been good if you were given more options. Luckily, you can choose the JPG quality, which is important if you need to reduce the file size. It would have been good to see an image preview of what your image will look like. There is a preview showing but it did not appear to work correctly. So the only way you can tell whether you’ve set the quality setting correctly is by saving the image. This means you may need to do multiple saves before you’ve got the image quality how you would like it. Changing the size of the image is also not perfect. You can set the dimensions, but the image ratio is locked. It would have been good if you could have unlocked this, so you can choose the exact image dimension. However, you only have the option to either choose width or height. If you change the width to say 500 pixels it automatically changes the height and vice versa. Professional editors give you the option to unlock the image size, so you can set the image size manually without locking the ratio. Photoshop Express works well on a Chromebook. When reviewing Photoshop Express I used a Chromebox with a 27-inch 1080p display. Photoshop Express worked on this display size perfectly, which is great. Some of the Android Apps only display in tablet or mobile size, so it’s really good to see Adobe have coded the program correctly, so it detects the screen size of your display. The text tool needs working on because it’s not as easy as it could be. You also know you’re using an app developed for tablets and mobile, as the options are displayed in a basic somewhat child-like format. However, in the future hopefully, we’ll see Android Apps developed, so they can take advantage of the power of the Chromebook. Exporting files is also a great let down. Not being able to view how reducing image quality will look like is frustrating. The only way around this is to export on a trial by error basis until the image is suitable. Also, not being able to set the image size because the ratio is locked is disappointing. If you’re looking for an Android App to edit photos on your Chromebook, then Photoshop Express is an ok option. Just don’t expect it to provide results that you would get from a proffesional graphics software program.